Over the last few days we have been asking for your Away Day Memories. And as a lot of you have been getting in touch, one person has managed to set a benchmark for all Memories. Chris Elliott has relived his favorite memory from a match from 28 years ago. This might seem an age ago (is it really 28 years?) but the memories are fresh of a great away day following the Town. It was autumn 1984 and as a 17 year old who’d recently passed his driving test, away games were now the target. I was now mobile and the choice of vehicle was irrelevant – which was just as well as the only choice was to borrow Mum’s Mini City. With a potent 950cc engine this bad boy’s first task was to ship me, Richie, Paul and Ant to Huddersfield for the Division 2 fixture (equivalent to League 1 now). 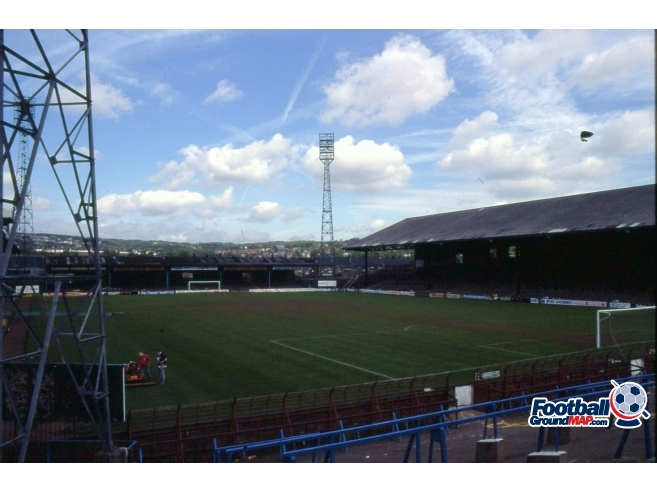 This was at their old Leeds Road ground, a classic old stadium and far removed from it’s current modern replacement, whatever it’s called this season. On the way there we soon found that top speed on the uphill stretches of the M62 was about 50mph, slower than many of the HGVs who formed a queue in the middle lane of the motorway to get past. All fine until one of them forgot we were there and started pulling in to our lane. A swerve into the hard shoulder and a few deep breaths and on we went, underwear maybe a few shades browner. The match started with predictable home chants of “you must have come in a taxi”. There was a respectable couple of hundred Town fans but on the large away terrace behind one goal it’s fair to say we had elbow room to spare. The Terriers’ chants were silenced though as Town racked up five goals with just one in reply. I’ve tried to find more match details but can’t although I think Gary Stevens may have got a hat trick and Colin Robinson was also on the score sheet. The Division 2 table that night made good reading for Salop fans with the team tucked in behind Leeds and Birmingham in 3rd place and as the top scorers too with 11 in the first 4 games. With Ant telling us on the way home that his parents were getting a new dog that day he was adamant it could only be called one thing “Five F***ing One” !! They should have listened as in March for the return league game at the Meadow guess what …. we beat them 5-1 again! Nothing beats away days, even losses tend to leave a long-lasting memory of the journey, the away pub or something else. Whilst some of the details are hazy, probably through celebrating hard that night back in Shrewsbury, this day summed up the fun of getting on the road to see the boys. We would like to thank Chris for taking his time to do such a great piece for us and to set a great benchmark for others to follow. If you have a away day memory then why not tweet us what it is and you might find yourself featured on our blog like Chris was.